Hunting for a new job can be stressful, and once you've managed to secure an interview or two the nerves really start to kick in. But follow these top tips of what you shouldn't do in an interview and you can land that dream job. Don’t be late. It seems the most obvious interview tip, but many people struggle with punctuality. Plan your route well in advance; assume you may be delayed to give yourself plenty of time to arrive to your interview about 10 minutes early. This will show that you are keen and emphasize your ability to be punctual. Do remember to go over your resume and achievements prior to the interview. When the interviewer asks you questions about this, you should be able to answer them straight away without referring to your resume and be able to expand on important details. Find out what people wear in advance if possible. Do dress smartly and be sure that your clothes are clean and ironed, if necessary. Make sure that you maintain good personal hygiene. Hair should be washed; nails should be clean and trimmed and be sure to take measures to ensure you don’t have any body odour. Do remember to switch your phone off. Even if it’s on silent, you may have an alarm you forgot about go off in the middle of the interview which will definitely come across as unprofessional. Don’t use slang or curse words when speaking with the employer. Even if you feel it is a very casual situation, or you are a bit nervous, it’s always best to come off as being polite. Do speak eloquently and think about how what you’re saying will come across to the hiring managers. Think in advance about what makes you the best person for the role and be confident. Avoiding colloquialisms and fillers such as “um” and “like” will definitely give the hiring manager a better impression of you. Don’t slouch in your seat or make other gestures that may suggest disinterest in either being at the interview or what the interviewer is talking about. 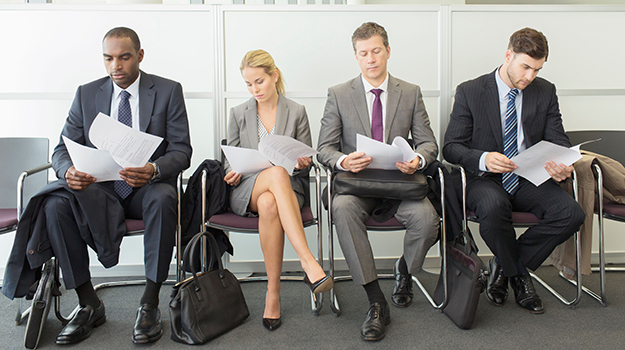 Do sit up straight, avoid excessive fidgeting and be genuinely engaged with the interviewer. Behaving in any other way is likely to come off as disrespectful and unprofessional. Don’t lie or over-exaggerate when answering questions about your past employment and achievements. More likely than not you will be found out. Rather than run the risk of being exposed later, be truthful about your accomplishments and focus on skills that could be valuable in the new role. Don’t discuss your views on controversial topics or personal issues you may be experiencing. This is not the time for them. Listen carefully to their questions and try to stay on topic and keep answers concise and relevant. You will miss out on making your point if you ramble on about things irrelevant to the questions you’re being asked. Don’t answer the interviewer’s questions by simply reading points straight off a copy of your resume that you have in front of you. Think about what skills you have learned and developed from previous roles rather than just listing what you did. Don't talk about past employers or colleagues in a negative or gossipy way. It's likely to set alarm bells ringing with your prospective employer. Do share, in a clear and objective manner, what you learned from challenging situations at your previous job and how these acquired skills can be used in this role. Don’t forget to make eye contact and smile. Your interviewer(s) will be trying to work out if you will fit in and get on with others. Do show that you’re a confident individual by maintaining eye contact while speaking to the employer. Smiling during the interview will not only show that you are friendly, but you will also appear to be relaxed even if the opposite is true. Don’t use vague and meaningless phrases such as “I’m a good team player” and “I’m a people person”. Instead provide specific examples of how you’ve worked as part of a team or have developed people you’ve managed in the past. Do understand that asking intelligent questions about the company and the role shows that you’re interested in the job and the company and that you have done the appropriate research. Don’t hand over a patchy resume or samples of your work that look like they’ve been mauled by a dog. Print them in colour on good-quality paper and present them in a folder. Good luck!